By most measures Trump’s had an ineffective presidency. If you oppose his agenda, as I do, this is no doubt a good thing. Like countless others, I rely on Obamacare for my health insurance. I sleep soundly at night only because Trump and congressional Republicans failed in their attempts to take my insurance away. But, while Trump spews verbal diarrhea at press conferences, refuses to denounce Nazis, fires and replaces half of his top appointees, and attempts to convince us he didn’t collude with the Russians, there’s one area in which he’s getting a few things done. While Trump cannot single-handedly pass new laws, he can alter the policies within the executive branch of the government. And that’s what he’s been doing. Even as we’ve been distracted by Russia investigations and Nazis, Trump managed to find the time in between his busy golfing and cable TV watching schedule to trash a few Obama-era environmental programs. To take one petty example, he eliminated a ban on bottled water in national parks. Surely that’s less significant than other Obama policies he’s undone, like pulling out of the Paris Climate accord. But it speaks to two facets that have become clear in Trump’s presidency. First, Trump’s guiding policy goal appears to be demolishing everything that Obama did. Second, those who work with Trump say he wants to “win.” Of course, everybody likes to win. But most politicians have deep convictions that the policies they advocate will benefit the nation in some way, and they want to win in order to better the country. Sometimes it seems like Trump just wants to win because he wants to win. And, in part, he wants to do it by undoing Obama’s legacy. True, his poll ratings are extremely low. Perhaps that’s why he continues to have rallies — not because he needs voters to turn out to any upcoming election, but because he enjoys having his ego stoked by thousands of screaming acolytes. It’s why he fixates on cable news, and sends off nasty tweets about anyone who says anything negative about him. And it’s why his staff has to give him a folder of positive news about himself twice a day — to keep him from typing uncensored tweets that harm his image and his agenda. Trump’s presidency may eventually self-destruct if he continues going in the same direction. But in the meantime, how much harm will he do? Being against everything Obama was for, and undoing everything Obama did, will result in making some poor decisions. 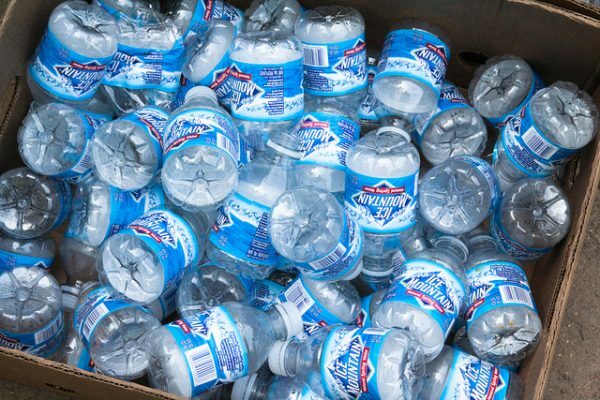 Banning bottled water from national parks was never going to get rid of all plastic waste. It wasn’t even going to get rid of all of the plastic waste in the parks themselves. But it would’ve at least removed the most unnecessary waste. Many of our parks are in remote areas, and handling their garbage requires some finesse to avoid harming wildlife. So reducing waste in the parks can help preserve these precious places Americans love. Bringing or buying a reusable bottle is a small sacrifice to help protect a place you care about for the next generation. With his hands tied in other areas by a dysfunctional Congress, low approval ratings, high staff turnover, and ongoing scandals, Trump is turning his drive to win for the sake of winning into the small petty victories he can achieve — and in this case, our national parks paid the price.